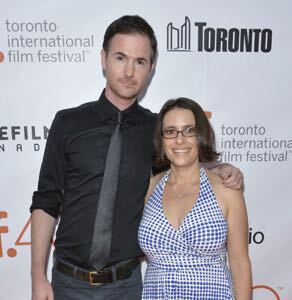 Filmmakers Ryan Fleck and Anna Boden had already been making movies for a number of years before they burst onto the scene in 2006 with their film Half Nelson, which got actor Ryan Gosling nominated for an Oscar. That was followed a few years later with the baseball drama Sugar and then in 2010 with It’s Kind of a Funny Story. 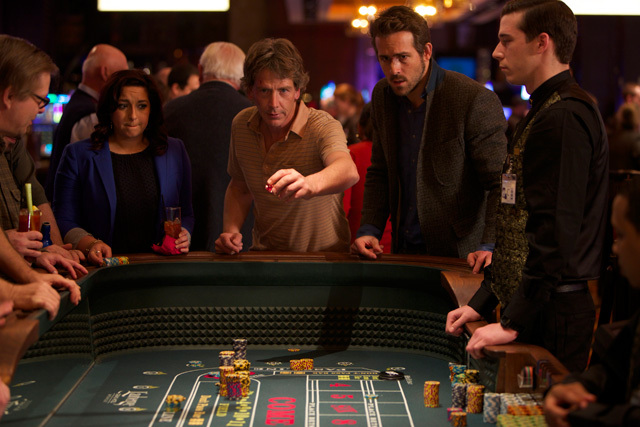 Since then, the writer/directors stayed busy by directing various television dramas, but they’re back with their first feature film in five years with Mississippi Grind, a movie starring Ryan Reynolds and Ben Mendelsohn as gamblers that meet at a poker table in Iowa and decide to take a road trip to New Orleans for a high stakes poker game. For Mendelsohn’s Gerry, the trip is a chance to get away from the debtors hounding him for money and to hopefully make enough money playing poker to pay them off, but for Reynolds’ Curtis, it’s just another adventure with a new partner who seems to know how to play poker. For Gerry, gambling is a serious problem, one that Curtis hopes he can help him overcome on this trip. Mississippi Grind premiered at the Sundance Film Festival, where it was picked up for distribution by A24 and DIRECTV, and then last week, it played at the Toronto International Film Festival, where ComingSoon.net had a chance to talk with Boden and Fleck for the third time. ComingSoon.net: What got you started down this road doing a movie about this subject with these characters? It just seems very different from everything you’ve done, although everything you’ve done has been different from each other, too. Anna Boden: You know, actually, I think the seed for it started back when we were shooting our second film “Sugar,” which is about a Dominican baseball player in Iowa. We were living in Iowa shooting that movie and started spending a little time at the local riverboat casino there. It was like a location that really was fascinating to us because it was not like any other casino that we’d seen movies about or been to. It was just the opposite of the kind of glamorous casino world that we were familiar with. It’s like, the characters there and the textures there and everything just kind of stuck. Ryan Fleck: But there’s also something that just occurred to me for the first time, that we would go in there and sort of play blackjack, not really knowing that much about it, but there were all these other games. There was a poker room that’s behind glass and I didn’t understand it, but I really wanted to be a part of that world. I wanted to understand what goes on at the poker table. So it was a great excuse to learn how to play poker and go up and down the Mississippi River researching the movie and learning about the people that hang out at these places. CS: Were you actually on a boat going up and down the river? Fleck: No, the boats are locked. It’s a loophole. Boden: Exactly, exactly, yeah. They’re like, kind of just the diviest places that you can go to gamble. CS: I play poker myself and every time I go to Vegas, I spend a day playing and watching people, and that’s similar to how Gerry and Curtis meet at the poker table and where things go from there. Were they based on people you saw while learning how to play poker? Boden: Yeah, totally. I mean, from just the textures of kind of the people who are more secondary characters in the background that we met while we were at tables, pretending that we knew what we were doing. Fleck: Trying to fit in. Boden: Or to like the people who we actually sat down with and talked to, who had stories, not just about themselves, but about friends of friends and all of those things just kind of stuck with us and became part of the movie in some way. CS: How long did it take you to sit down and write it once you decided you were going to do this? It’s been a while since your last film, so was this something you were trying to get made for a while or was it something that came up more recently? Once we realized this is what we wanted to do, we wrote the first draft in about a month, but then it changed quite a bit from draft to draft the more we’d research. We wrote the first draft with very limited research, and then, we actually went on the trip and it changed pretty dramatically after that. But I don’t know, a few months to write the script. CS: There are a lot of locations in the film, so were you actually going to some of these places or did you have to fake that you were there? Fleck: Yeah, we shot in St. Louis, Memphis. I mean, most of it, we were based out of New Orleans, but we got on the bus and went to St. Louis, Memphis, Tunica. Fleck: We can’t fake that. Boden: We can’t fake that. So we kind of stored those places away and made sure that we had it in our schedule to go there. CS: It’s really important to set up those scenes and the fact they’re in the different places. Also, you used the music really well in that sense. Was that music something you discovered along the way, too, or was that something you had in mind from when you were writing? Fleck: Yeah, it felt like a bluesy movie. In the same way I wanted to learn how to play poker, I’ve always kind of been into the blues. It just seems like a cool thing, but I didn’t know much about it. So I thought, “Hey, let’s really learn about the blues.” So we kind of dug in and learned a lot about blues history, delta blues music and we had a music guru friend of ours that made a playlist of thousands of songs, and that’s basically what we made our soundtrack based around. CS: How did you end up with Ben and Ryan? I think Ryan may be a little more, I don’t want to say obvious, but Ben is interesting because this is a very different role for him by playing a really sweet, nice guy. Obviously, he’s like that on “Bloodline,” but you wouldn’t have seen that when you made this. Fleck: Right, he hadn’t done it yet. Fleck: He went straight from ours to “Bloodline,” and I don’t know how the experience of doing our movie influenced that character on him, but I think that you’re right. Ben tends to play very dark, brooding, violent, volatile characters, and we wanted to use the unpredictable nature of his acting style, but to a different effect. We wanted it to go into a more sort of—there’s humor in him. I mean, he’s actually a really funny guy, and it’s nice to see that side of him. CS: I’ve met him a bunch of times, and the first time I met him, I was completely petrified of him after seeing “Animal Kingdom.” Now I’ve talked to him a bunch of times, and he’s the sweetest guy. How about Ryan? Obviously, Ryan has done a lot of bigger movies, but he seems to be shifting back to smaller character films and roles. Boden: For us, when we first met Ryan, he just walked in the room and you get this feeling from him. He has that certain kind of gentle charm and charisma about him that you’re just like, “If I was going to have a guy next to me rooting for me to win, I want it to be that guy.” You know? It felt so perfect for Jerry, who sees Curtis and decides this is his lucky charm and this is who he wants with him on his journey down to New Orleans. He’s going to like, help him turn his luck around and win. And there aren’t that many people like that, who walk in a room and you get that certain energy from. CS: But also, they work so well together, too. Fleck: We got lucky. I’m not going to lie. We didn’t have some master plan. I mean, we had a hunch. We had Ben. He was on board first. Then we met with Ryan and it was just like, “We think this is going to work,” but you don’t know until you get them together in a room, and we just had to take a leap of faith to get those guys together, and then they just fell in love at first sight. They really had a wonderful time working together, which was perfect. It would’ve been a mess if they didn’t. CS: I asked before about the characters and the inspiration you took from the people you met. Did you guys ever have a losing streak where you could relate to people who have that gambling problem where they think the next hand’s going to be the one that makes them back the money they lost? Fleck: Our own experience is limited, because I think we both walk away from the table before we get too far in that direction, you know? CS: Most smart people do. Fleck: But Ben, when he was researching the role, was spending a lot of time in the New Orleans casino downtown. In the weeks leading up to the start of production, he kept winning, and he was beating all these really good players down there. We had like a guide who was there with him, playing with him and teaching him the ropes. Boden: It’s because he’s a completely unpredictable wild man, like nobody knew how to beat this guy. CS: Actors generally make better poker players and I would never play poker with an actor because they’re good at doing fake tells. CS: Wow, that’s some crazy kind of method acting. Fleck: Yeah, it really was. CS: Obviously, you wouldn’t know about these other movies because you were making your own, but there was a recent remake of “The Gambler” and also a remake of “Wild Card” with Jason Statham, and this is a different film although gambling does seem to be in the zeitgeist in cinema right now. Fleck: That is interesting. “The Gambler” remake was shooting at the same time as us. Boden: Yeah, we were surprised to hear about that. “The Gambler” is one of the movies that inspired us. We love that movie. CS: I knew he wrote the original and I knew he was in your movie, but I never put two and two together. Boden: I mean, the remake kind of couldn’t be a more different gambling movie than ours, but it is interesting that both movies were kind of inspired by that same time period. CS: Another thing that’s interesting about your movie is that even the second time I saw it, I still wasn’t sure what the outcome was going to be. I’m not sure how that’s possible that I wouldn’t know what was going to happen despite having already seen it. CS: Yeah, it was really weird. I was really surprised the first time, so without spoiling it, how do you decide whether to go with the sad or the happy ending version of the story? Fleck: Yeah, you might have to edit out some of what we say. Boden: I mean, without I guess giving anything away, I’d say that we were interested in telling something, having an ending that could be a happy ending and a sad ending, both at once. Fleck: Yeah, that’s our favorite kind of ending. But on “Half Nelson,” we would have audiences say, “Oh my god, that movie was so depressing, how you ended it like that.” Then we screened it somewhere else and people would say, “Oh my god, you had such a happy ending. I don’t know if it was honest enough.” How come people read the ending in two completely polar ways? So I don’t think this one is quite as much like that, but there is a bit of ambiguity. The answer is however one feels at the end of the movie is the answer, and I think this is a complex mixture of upbeat and sad, at the same time. CS: It’s like life. Life is like that. There’s no ending really because you do something or something happens and then it resolves itself until something else. Have you thought about what you want to do next because you’ve been done with this since Sundance, I guess? Fleck: Yeah, we’re toying around with a few ideas. One of them’s in television, because everyone else is doing it, so why not us? CS: Have you thought anymore about doing another movie closer to what you did with “Sugar,” working with non-actors? Boden: Yeah, I mean, that was one of the most really fulfilling experiences of our careers, I’d say, making “Sugar” and that whole process, and really digging deep into a different kind of place. Fleck: We like to learn about cultures when we make movies. It’s a great excuse to go learn about Dominican baseball players and how that works. Fleck: The gambling, world of poker players. 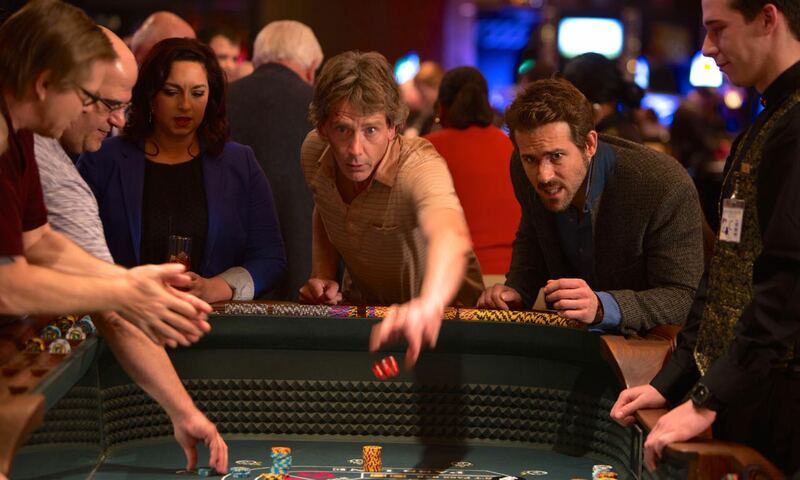 Mississippi Grind opens in New York on Friday, September 25, following its run on DIRECTV, and then it expands to L.A. and other cities on Friday, October 2.